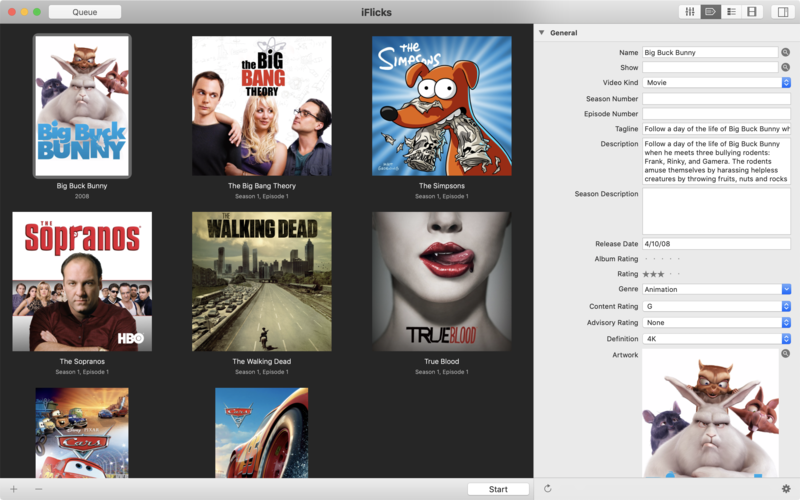 Jendrik Bertram has released iFlicks 3, an update of the video and metadata handling solution for the Mac. The app allows you to add video files to iTunes or Plex, so you can watch them on your iOS devices or third party media players. With version 3.0.1, it’s now possible to process videos containing HEVC content, encode video tracks to HEVC, custom presets and more. iFlicks 3 requires macOS 12.2 or later and iTunes 12. It’s available as subscription and one-time payment version. The one-time payment version is available from the Mac App Store for $34.99. Ecleti has updated its Private Contact app for the Mac to version 3.5. The utility allows you to manage amp encrypted address book on your computer. The new version is optimized for macOS Mojave. It also has an improved import from text file” feature and a tweaked interface. Private Contact 3.5 requires macOS 10.10 or higher. It costs $9.99 and is available from Ecleti and the Mac App Store. MacXDVD has announced MacX DVD Ripper Pro, an update to its DVD ripper. The app can rip protected/homemade DVDs to any format In this upgrade, the core algorithm gets an overhaul to support the latest disc mechanism technologies of 2019. Now MacX DVD Ripper Pro is purportedly capable to eliminate most all of the long-term obstacles caused by multiple titles, new releases, workout/exercise titles, and more. MacX DVD Ripper Pro, normally priced at $67.95, is free for a limited time. A demo is available for download. Searchware Solutions has rolled out Print Window 5.4, an update to their file listing utility for the Mac. Integrated with the Finder, the app allows users to print a file listing of folders with a simple key command (or other methods of triggering a file listing). Version 5.4 makes numerous improvements, including full 64-bit support. Print Window 5.4 requires macOS 10.10 or high. It’s available in two versions through Searchware Solutions online. The Standard Edition is free. The Advanced Edition, which provides more features, is $20 for a single-user license. Upgrade pricing is available. Volume licensing is available, as well. G.K. has launched Didi Learns - The Water 1.0. In the $1.99 educational app. Didi, a little girl with a learning appetite, explores the water cycle, the sea and the river. Kids can learn how the rain and snow is produced, and how the rivers and lakes are created. Traveling in a submarine, kids can explore the deep ocean and control a harbor near the river end. Kids can click on the play symbols to start an action, like start the rain and fill the mountains with snow.